Table of tested chargers, comments? One comment/suggestion: I would make separate columns for each chemistry and then you can just put a green check mark in the column for each that the charger supports. I think this would make it a little easier to view. For NiMH you may also want to add a note about whether or not it can support C and D sized cells. For Liion, maybe a note about how many 26650s fit since most 4 bay chargers can only fit 2 of the largest cells. You could probably create a couple symbols that represent each. Maybe put those symbols in the # of Slots column? Column for each chemistry: Easier to see, but makes the table wider. I was planning on making multiple tables as I noted at the top. Mostly 26=C and 32=D in diameter, this will have to go into the comments to the table. Symbols for number of batteries works fine for 1-4 slots chargers, but the Ikea 12 slot spoils it (I am rather sensitive about the width of the table). But I will see about adding something to say if the charger support full load of large batteries or not. Panasonic BQ-CC55 — odd overlap, is that one, or two, smiling faces? A key could help — I see two kinds of smiles — strong smile and faint smile — and am not quite sure what the distinction is. 1½, the charger is better than one, but not good enough for two. I could also have used one with a big smile. I like it!!! Very easy to read even at a glance, not cluttered and all pertinent information is present. Can it be assumed is a better rating than ? Is this a mixed rating, some good some bad; ?? The ratings match my usual keywords for ratings, I am working on a list to include. Thank you. Rating in that manner makes it all very easy & clear for almost anyone to understand, as far as I am concerned. Might you squeeze in the number of cells (where you have the number of slots)? would be the possibilities, I think. I find the chargers that only allow pairs to be really annoying, as so many things I find use three cells. Not a bad idea, but the picture of each charger already shows the number of cell that can be used in it. Strike that comment…. there is already a column for number of slots. Anything besides what is listed already would be clutter, IMHO. I really do like the key to the rating system also KHJ. I like it better than using a “big smiley”… this makes it easier to understand I think. I do not believe I can do that. I cannot see a good way to add that information to the list. I am not sure it will be a good idea to fill more information into the slot column. I have updated the original post with the latest improvements. I do not believe I can do that. I cannot see a good way to add that information to the list. Thinking a bit about it, I found a way. Now I will color the numbers in the two single slot current columns red, if the charger need a pair to charge. I have updated the table. No comment. Keep it as it is (now). Pretty much whatever you decide works for me HKJ. This will be a very good and valuable reference. Thank you. No comment. Keep it as it is (now). Thank you! I cannot promise that 100%, other good ideas may show up. Chargers support >70mm long cells. It can easily be too many, I will have to limit it. Great reference, thank you HKJ! Sticky’d. That works for me, thanks for making it easier to tell which ones need that. Might be nice if it was possible to sort by clicking on the the desired column, like slots, current, charger name etc. It’s always frustrating to have to through the entire table to find a specific charger. Most of the time if it’s not possible to sort I don’t even bother. 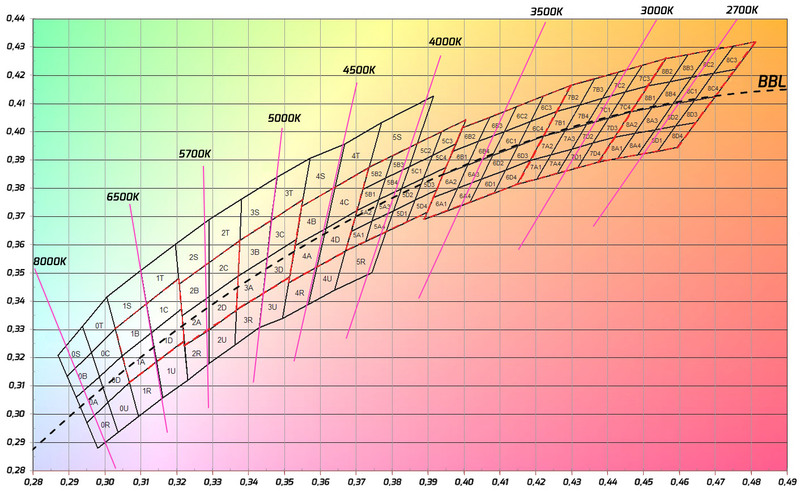 For chargers that support >70mm long cells, maybe you could color the max cell length in green in the table? That would make it stand out a little more for people looking for that. Suberb work, as always, HKJ! I have added many more chargers and now the first post shows a page from my server. It is also possible to select between different indexes. Errors in the index (There will be some). I have been tinkering a bit more with the index adding more data and more different indexes. Two tables have an extra column now. Just gonna throw out some wishful thinking, having all this info with a search like paramtrek.com would be amazing! I am not going to do that. With all the indexes I have made you will usual be able to get a fairly limited number of chargers to select from. With permission, I could import the data in a few hours. I’d be willing to do it without any form of compensation either, meaning none of my affiliate links anywhere on the page. I didn’t do any of the work, after all. HKJ, if you are curious what this could potentially be, I can throw together a private prototype just for you to look at. If you don’t like it, it will be deleted. It is less than 200 entries, it is not much for a search database. I have nothing against a parametric search, but for me the problem is that maintaining another index would be more work (I do add a new entry about once a week). Not a problem, I would handle the maintenance side of things. Whenever you revise or add more entries to your index, I can insert the new data to mine. I do not see why you are waiting, I have no problem with people republishing my date as long as they add proper references to my website. If I like it I might also add a link on my website to it.